Grand Champ, FL State Champ! 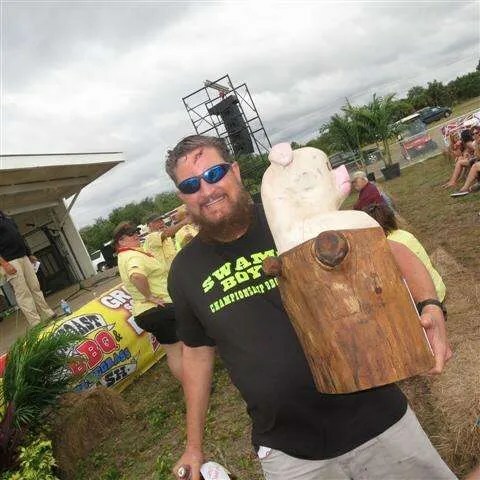 The Florida BBQ Association’s Florida State Championship was held in Venice FL April 18-19, and 57 pro teams went head to head to see who would be best. 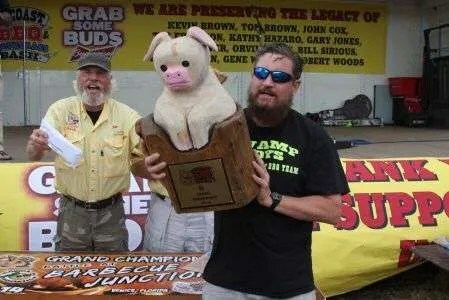 When it was all over we were fortunate to come out with a 3rd in chicken, a 3rd in ribs, a 3rd in pork, and a 6th in brisket. This very consistent cook gave us a nearly 9 point Grand Champion victory over Reserve Grand! The Venice contest has always been a top-notch event hosted by the Venice Sertoma Club. I’ve not seen a group of volunteers who work harder to make their event a success. I know the teams all appreciate the extra efforts, from the meet and greet on Thursday night, to the free dinner and breakfast for teams, to the nice Tervis Tumbler. Lot’s of infrastructure upgrades have been made with power and water. I think this contest will continue to be a favorite among teams for years to come. And it is very popular with the locals. Estimates were between 10,000 and 15,000 people in attendance to enjoy the big name bluegrass bands and the best in barbecue. Vendors all sold out! Grand Champion & Florida State Champion! Swamp Boys BBQ sauce sales have exceeded my expectations so far, thanks to everyone who has ordered! We have shipped to 24 states, many of which are already reporting back that they have won money with it competing. Bottom line is people are really liking it. This is not your ordinary barbecue sauce! If your area is not represented on the map yet, what are you waiting for?